My first adventure to the Mexican Sierra Madre mountains and Lake Comedero started with the biggest largemouth bass of my life and ended with a bigger one!!! A better script would have been hard to write on purpose. It will be challenging for this writer to put into words what a fantastic trip this remote bass fishing adventure is, but with the help of some pictures I will try in the new Mexico Bass Fishing section at GreatLakesBass.com. The entire trip was an adventure, exciting from start to finish. Lots of planning happened before we ever left our US homes, but Ron Speed Jr's decades of experience made it much easier to get our ducks in a row, and get everyone to the camp safe and sound. Ron Speed Jr's Adventures can book you for your trip of a lifetime to the remote, exciting and uncrowded Lake Comedero, or popular Lake El Salto through Mazatlan, Mexico in Sinaloa County. Short saltwater excursions are also available. Ron Speed Jr's Adventures can also book you on fantastic peacock bass fishing from the Amazon River in Brazil. You'd be hard pressed to find more exciting and fulfilling adventures for an angler than these excursions. Put your trust in the experience and proven track record of an outfitting leader and book your fishing trip of a lifetime through Ron Speed Jr's Adventures and Ron Speed Jr. Visit their web site or call 800-722-0006 for more information to make your plans. Mention you saw them on GreatLakesBass.com when you do. 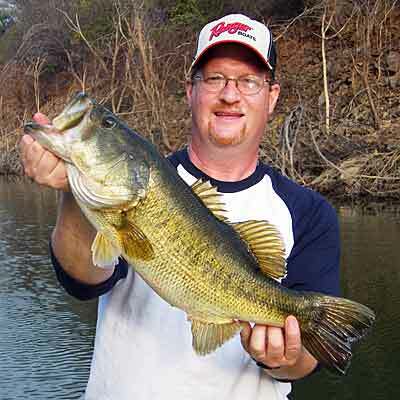 In the meantime, get your heart beating and your juices flowing visiting our Mexico Bass Fishing section. You'll see why you owe it to yourself to take one of these exciting trips for your bass of a lifetime costing little more than a couple weeks up north!! Beautiful Lake Comedero lies surrounded by the Sierra Madre mountains. Rocks. Thick forests of abrasive thorn trees with steep, deep drops into great depths that grow huge Florida-strain largemouth bass, and lots of them! At full pool, the manmade lake covers 39,000 acres with numerous creek arms and bays.